Regular hair washing is an important part to stop hair shedding through keeping your bulbs clean. When doing so, you lower inflammatory and dandruff risks which may cause hair shedding. Moreover, hair washing gives it a new look with bigger volume. Vitamins are not only important for our bodies but they are a good way to achieve high result after the hair transplantation operation. Vitamin A helps healthy fat production in head scalp, vitamin E improves scalps blood circulation that helps preserving bulbs production. Vitamin B preserves hair color. Eating fat-free meat, fish and soybean and other protein sources boosts hair health and prevents hair loss. People who suffer from hair loss must massage their scalp with aromatic oils for minutes that helps activating your hair bulbs. You can add some hyacinth in almonds or sesame oils. Humid hair is the weakest, so avoid brushing it because it will increase shedding rate. In case you had to do so, use a wide toothcomb. Also, avoid brushing hair too much for that may increase hair loss. When your hair is tangled, do not use a brush to untangle instead of that you should use your fingers. You can use garlic juice, onion juice or ginger juice by rubbing it on your scalp and leave it while you are sleeping then in the morning you can remove it. Do this regularly during a week and you will see an astonishing result? A quarter of our body is water so you should drink not less than 4 to 8 water cups a day to keep your body hydrated and guarantee a healthy hair growth. New researches have illustrated that using green tea by rubbing it on your head have positive effects to limit and control hair falling. Wash your hair carefully after one hour. To see results, keep doing this method regularly from week to 10 days. If you want to keep your hair healthy you should protect it and know what are the things that you have to avoid doing. If you are suffering from hair loss and you drink alcohol, in this situation you should decrease the amount of drinking because alcohol decrease hair growth. Cigarettes smoking slows blood flow to the scalp which decreases hair growth. Specify time for physical exercise every day. Walking, swimming or bike riding for 30 minutes daily help balancing your hormones, and prevent stress and hair loss. Ancient studies have found medical proofs that link stress and hair loss. Put off your stress. One ways of doing that is meditation. Alternative treatments like meditation and yoga don’t reduce stress only, but also balance your hormone levels. Don’t expose your hair to repeated heat and drying. Heat weakens your hair proteins, this leads to hair fragility and even hair loss. The chances of hair falling increase during summer because of sweating and having dandruff, so you should keep your hair sweat free. Using Aloe Vera shampoo keeps your head cool and stops head dandruff. In addition to that, men who wear hats suffer from hair loss during summer. The reason behind hair falling is that when your hair get sweat it will build up in hair pores and weakness hair roots causing the hair loss. Therefore, wearing scarf or head bandanna can prevent it. 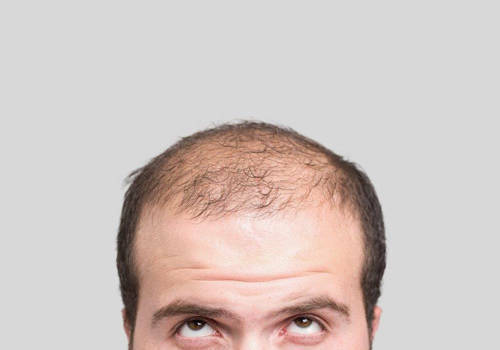 If you are suffering from hair loss, you should pay attention to this situation and try to loosen up your hair. Health problems are alert for hair loss. In order to have a healthy and strong hair you should ensure to deal with high fevers and chronic illnesses properly. In addition, health problems can effect on hair falling and increase it so you should avoid these problems and try to stay healthy. Chemicals and hair dyes can be harmful for your hair. In case you have hair loss, it is better not to color your hair. There are many health conditions, especially those related to skin that can change your hormone levels and cause hair loss. Make sure to visit your doctor regularly for check-ups.